Hi guys! I have decided to start a new blog series. As you can (hopefully) tell by the name, every Tuesday I will be discussing my top three items from different make-up items such as blusher, lipsticks, bronzers etc etc. Obviously everyone has their personal favourites based on your skin type, tone and colour, and these are merely MY favourites that I would recommend to friends and family 🙂 I would love to hear your feedback on the posts, our opinions on these items and your own personal favourites if you disagree with my choices 😉 I also will not be adding in swatches of the items just because most of these will have already have been featured in Monthly Favourite’s or Haul posts, in which case I will just link you straight back to those posts which will have swatches. 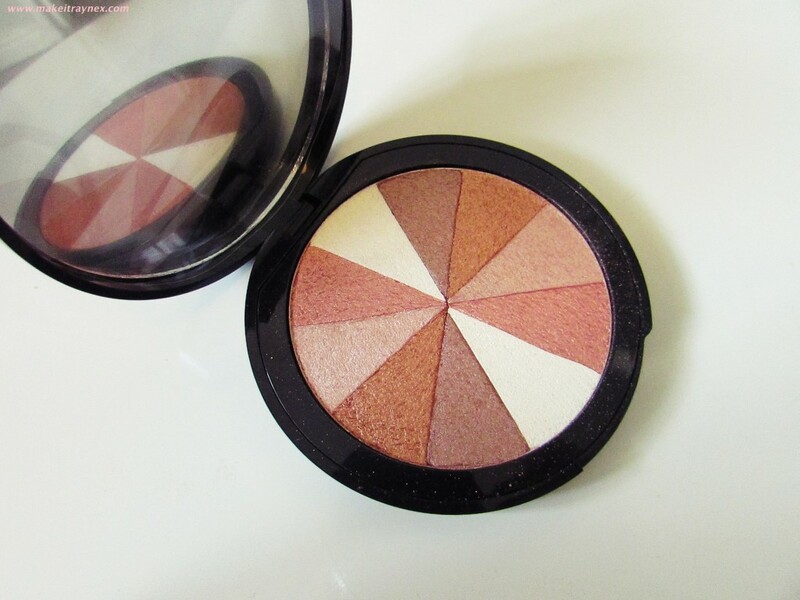 So let jump right into this weeks’ choices; blusher. As you can see, I have already cheated and thrown in an extra item! I will get to the reason why later.. 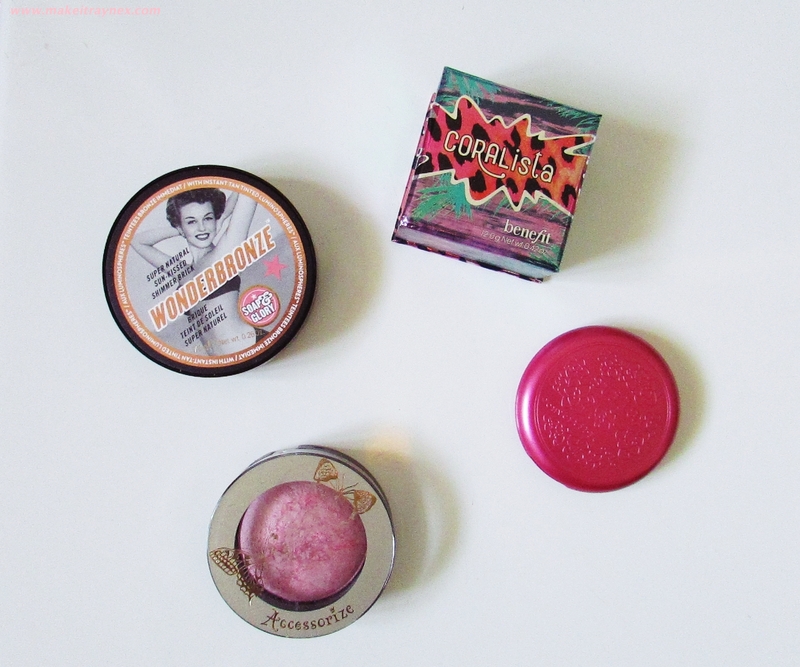 These are my favourite blushers in no particular order at all. The first few times that I used this product were bad experiences. I found that the colour was too hectic as a lip or a cheek colour but as long as you are not heavy handed you can get a great colour from this. It advertises as being a “creamy translucent” colour but it is also definitely buildable if you are after a thicker lip colour. I personally don’t use this on my lips but it is absolute perfection for your cheeks. It does stand out quite a bit and I would suggest using it in the winter months when your face is a bit more dull and paler than usual. It lasts for HOURS and the compact contains a mirror so if you did need to retouch your cheeks (honestly though, you won’t need to) you are sorted. Okay, so this blusher is a sore point for me. I said above that these products are listed in no particular order but this blush my just be my numero uno favourite of all time. Basically I purchased two of these ( 8 – Quiver and 5 – Wowzer) from Clicks in December 204 for some ridiculous price like R30 each or something like that. I am not the greatest fan of Accessorize’s make-up range (apart from their amazing nailpolishes) and I purchased them in the mind that I would give them to two friends. Long story medium, I gave one away and randomly tested one and oh my, how the angels sang that day. You know when something is so on point that you take 200 selfies and sneakily peer into every mirror/car window/stray spoon that you come across? Well that was certainly me that day. And I was not being vain about it. 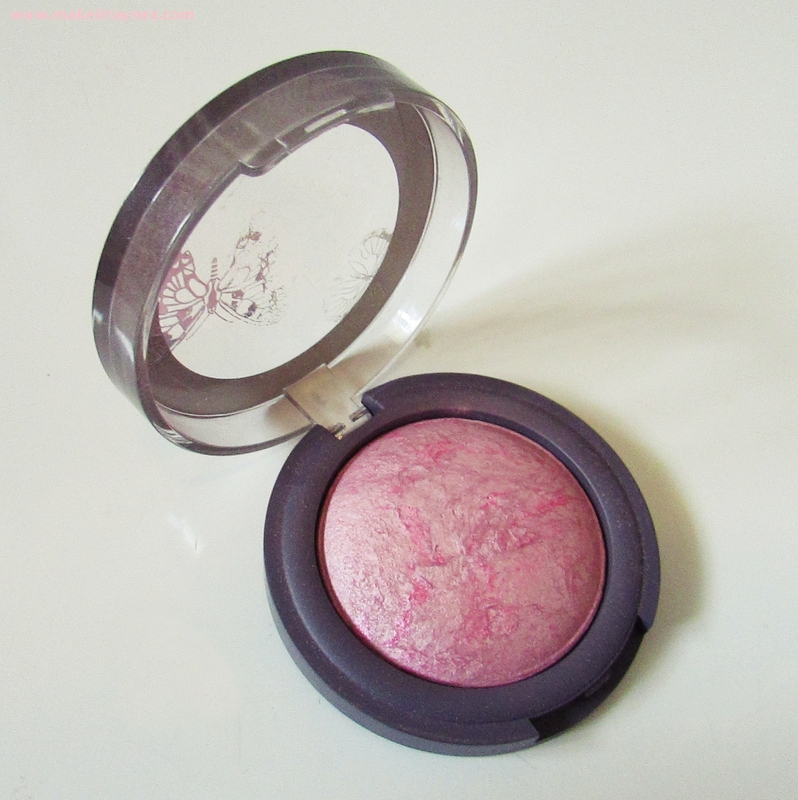 I just could NOT believe that this little cheapo blusher was so gorgeous. I cannot vouch for any of the other colours as I have not been able to find another single one since January! I have searched online and there is nothing about them being limited edition so who know what is going on. There are – don’t quote me on this – about 10 in the range ranging from coral to peaches to fuchsia’s and they all look amazing. This one is a domed (they all are) light baby-pink, veined through with some darker pinks and just a touch of highlight and some very light shimmer. Please don’t let that shimmer scare you off. Its the perfect amount to leave your face looking healthy and radiant. I think that everyone who tries Coralista falls in love with it. And what a happy coincidence that Benefit are re-launching the brand in South Africa in July! I did not perfectly manage to capture the colour in the lighting that I used in the pictures below. It is more of a coral colour (obviously) with a hint of gold in it and I would expect that that may deter some girls from using it, but in my experience almost every skin shade and tone can pull this off. 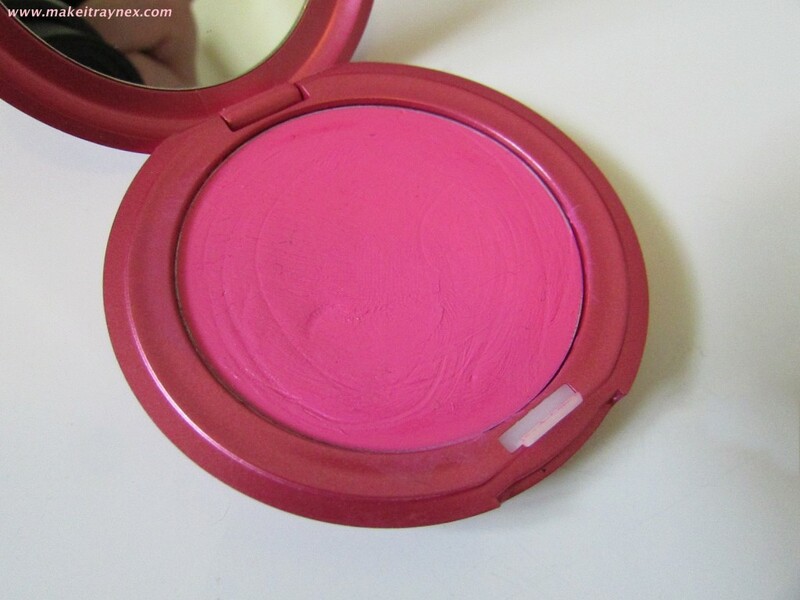 It is not too bright and it leaves you looking flushed and not overdone at all. The product is buildable so you can decide and control just how much product you need. I will definitely be repurchasing this when the time comes – and it seems like it will be in a few months, if not years, because this little box lasts so long! 4. 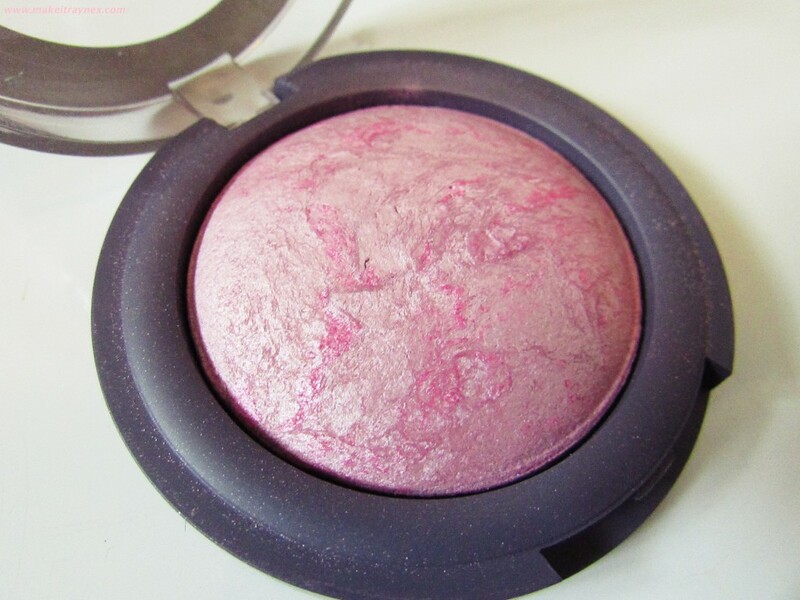 And then as an honorable mention, Soap & Glory Wonderbronze Sun-Kissed Shimmer Blush Brick, takes the cake! I had to throw this beauty in and I won’t say too much about it but its name ‘Wonderbronze’ makes it sound like a bronzer, when it actual fact it is a shimmer blush brick. I would 100% pit this against the Bobbi Brown shimmer brick. Thats how amazing the quality is! It gives you a perfect natural, glowy and radiant finish without being at all muddy. The end. How gorgeous are all of these products? 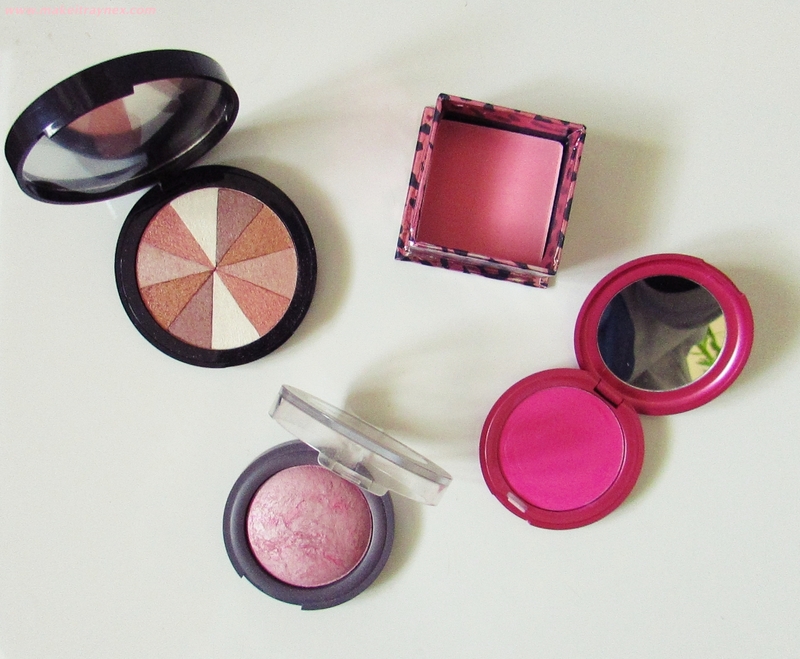 I think blusher may just be my favourite make-up items to look at! Have you tried any of these? What would YOUR top three (or four) blushers be? 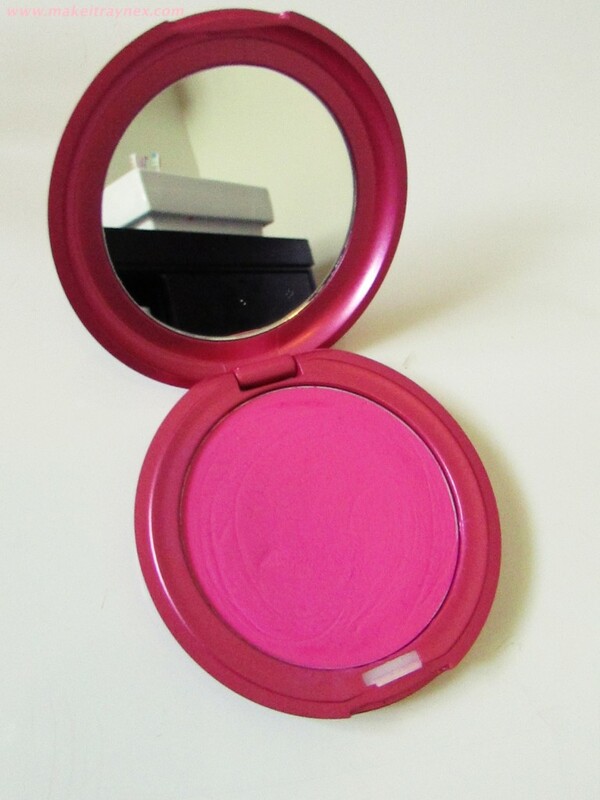 I too bought the Accessorize blush in the same shade from Clicks at a ridiculous price in December. EXCEPT I don't love it at all. I find that it barely adds any colour at all to my face – as if I hadn't applied any blush at all? But I guess maybe that's because I like to be slightly more bold with my blush? Perhaps I need to tone it down a bit 🙂 Will give this one another shot!